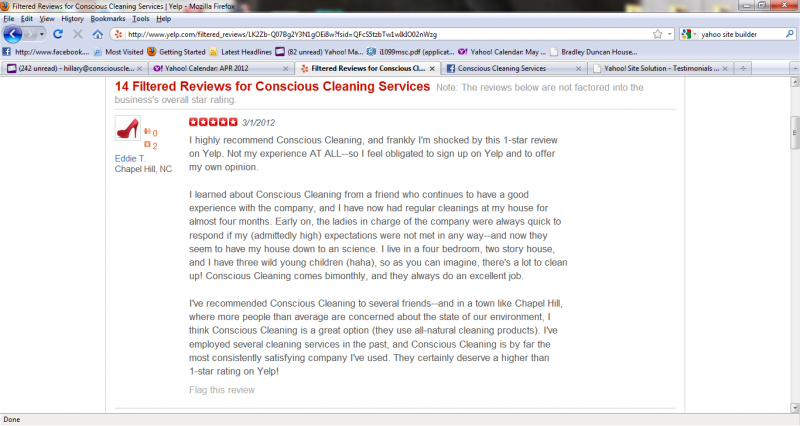 Conscious Cleaning - About Yelp: We've had over 15 clients review us on Yelp. 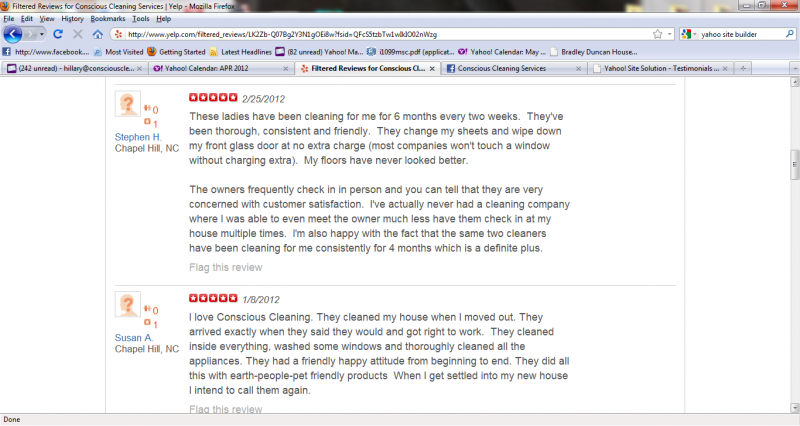 Unfortunately Yelp has filtered ALL of our positive reviews. 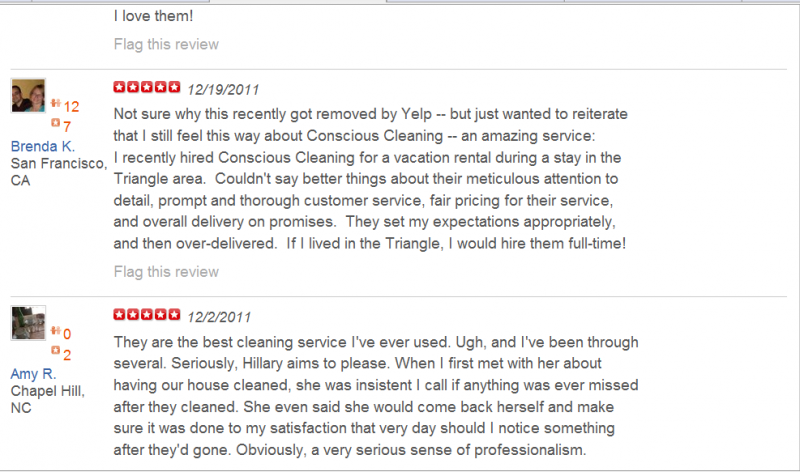 We've provided a screen shot here of some of our actual reviews. There is a class action lawsuit against this company and countless articles on the internet about how they're hurting small businesses. 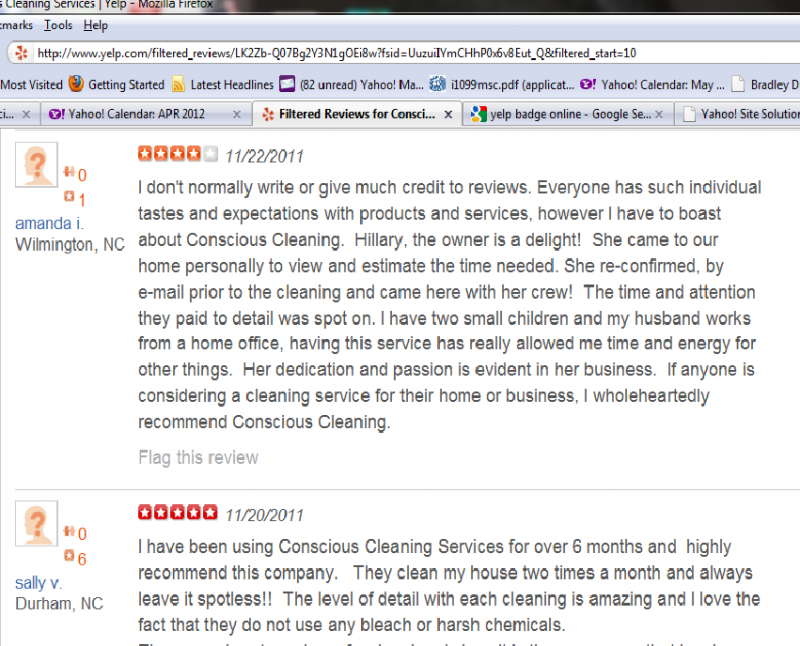 About Yelp: We've had over 15 clients review us on Yelp. Unfortunately Yelp has filtered ALL of our positive reviews. We've provided a screen shot here of some of our actual reviews. There is a class action lawsuit against this company and countless articles on the internet about how they're hurting small businesses.